Delaware, the first state to get their sportsbooks up and running, in response to the recent Supreme Court decision to lift the federal sports betting ban, quickly saw the impact of football season on its bottom line for sports gambling. The Delaware Lottery reported that they took in just a little over USD $16.8 million in sports wagers for September 2018, the first month of the college football and NFL seasons. This was more than double what the state’s sportsbooks had collected in wagers in the previous monthly period. 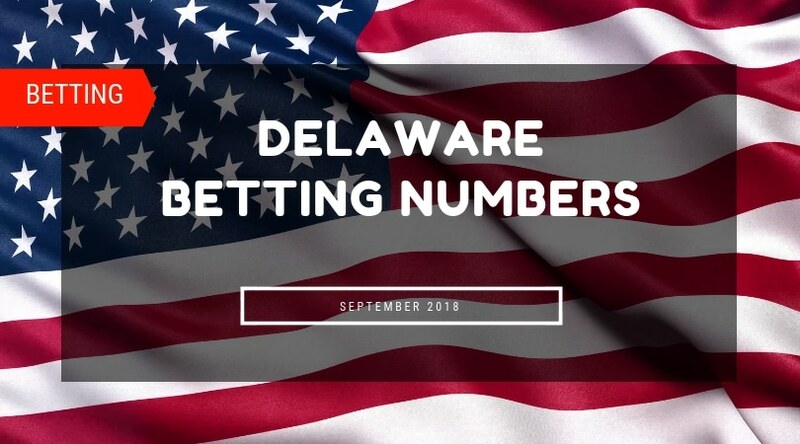 There are three regulated properties in the state of Delaware, and all three have been authorised to offer sports betting services to their customers as of the month of June this year. According to the latest numbers from the Delaware Lottery, in the period between 27th August 2018 and 30th of September 2018, the three casinos in the state took in USD $16.83 million in wagers. The last monthly period, which spanned from the 29th of July 2018 till the 26th of August 2018, the casinos reported USD $7.7 million in wagers. It is important to note that these two months are not a fair comparison. Not only had the NFL kicked off in the latter month but there were more days in it too. The period of September 2018 also had five weekends compared to four in August 2018. The average daily handle for all the casinos combines was USD $481,000 a day for the September period. This was significantly up on a month to month basis from the average daily handle of USD $276,000 per day that was reported in August 2018. However, that was expected because of the effect of football season. American football is the most popular sport in the country; and as a result the NFL season proves to be the most popular time for wagering in the country too. Operators generated a total of USD $3.15 million in revenue for the period ending on the 30th of September. The state has seen nearly USD $40 million in wagers since the launch of sports betting in the in June. They have also taken more than USD $5 million in total revenue. This means that since sports betting has started, the state has held about 7.6 per cent of its sports wagers. Delaware Park Racetrack is a racetrack and casino that offers thoroughbred horse racing, slot machine games, golf course services and now sports betting. Located in Stanton, Delaware, it is about thirty miles from the city of Philadelphia. The facility opened on the 26th of June 1937 and remains the only thoroughbred horse racing track in the state today. The casino at the property houses numerous slot machines. Much like previous months, most of the sports gambling earnings came from wagers placed at Delaware Park. The racino took in USD $11.57 million in wagers during the September period. This was 68.9 per cent of the month’s handle. It marked a month over month gain of 118.7 per cent compared to the August period, when the property collected USD $5.29 million in sports wagers. The property also reported revenue of USD $2.2 million for the month. This means the racino held more than 18.9 per cent during the period. Dover Downs is a hotel, casino and racetrack located in Dover, Delaware. The property features a 0.625 mile harness horse racing track, and also a 1 mile concrete NASCAR track. The property, which initially opened to the public in 1969, features a hotel with 500 rooms and suites, dining options, and a casino. The Dover Downs casino houses 2,700 slot machines, 40 table games and an 18,000 square foot multipurpose hall. The company also started their own online gambling offerings in late 2013 and most recently added a sportsbook. Dover Downs took USD $3.27 million of the monthly handle. This represented 19.4 per cent of total wagers for the period of September 2018. The casinos reported sports wager handle of USD $1.66 million for the month before. This means they saw a month over month gain of 97.1 per cent. The racino also retained revenues of USD $608,000 for the period. This means, they held 18.4 per cent of the handle during the September period. Harrington Raceway & Casino is a racetrack and casino located just outside Harrington, Delaware. The racetrack first opened to the public in 1946, while the casino was added half a century later, in 1996. Their casino features more than 1,800 slot machines, table games, simulcasting, live racing, and sports betting facilities. In addition, the property also hosts concerts and other entertainment revues. They offer multiple dining options, as well as betting amenities for racing events. The smallest of the three properties took in USD $1.99 million in handle in the 35 day period between the 27th of August 2018 and the 30th of September 2018. This was 11.82 per cent of the total that was wagered in the state during the period. It also reflected a month over month increase of 153.8 per cent compared to August 2018. The racino retained USD $378,000 in gross revenue at the end of the month. This was 19.0 per cent of total handle taken by the property during the September period. The figures mentioned so far have not taken into account NFL parlay wagering earnings in the state during the time. Parlay wagering refers to bets that are placed on the outcomes of multiple games instead of single events. 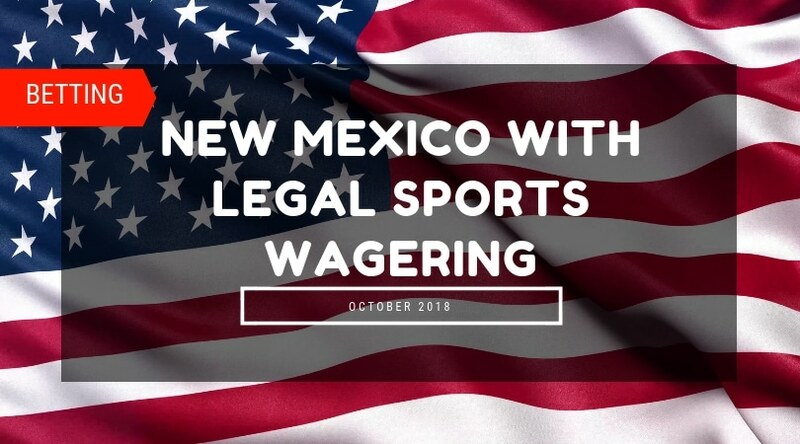 Until the recent Supreme Court decision to lift the federal ban on sports betting across the country was issued, Delaware remained one of three states in the country, where only this kind of bets were allowed on sporting events. So, parlay betting is much more widespread across the state and there are about 100 lottery retail locations available around Delaware. For parlay betting, the state took USD $6.4 million in wagers. Their hold was about USD $2.2 million, or 34.4 per cent, of the handle. Looking at sports betting as a whole in Delaware, that is blending parlay wagering and sportsbook wagering, it can be noted that the state took in about USD $23 million in wagers. Out of this, USD $17.6 million was given out in the form of winnings. This means that revenue for the period was about USD $5.4 million, with a hold percentage of 23 per cent. Although the sports betting numbers in Delaware are impressive and they have seen more than a 100 per cent increase in overall handle in their September period compared to the one before, it pales in comparison to what New Jersey casinos had to report. The state of New Jersey has eight physical sportsbook and another eight online ones. They collectively took in about USD $100 million in wagers during the month of August. The last three months of the year are also known for being popular with sports bettors in America. This means that the New Jersey sportsbooks can hope to do even better over that final quarter of the year. New Jersey does have about nine times the population of Delaware. Additionally, given that Atlantic City in New Jersey is the East Coast gambling capital, the state is certainly expected to outperform Delaware with the amount of wagers and revenue on a per capita basis.